Smartphones the past few years from some manufactures have been dropping the support for the wired headphone jack making wireless headphones a necessity. I have looked a a few pairs from Anker and they all had wires connecting the two earbuds together and a little remote on the cable. Today I have the Anker Soundcore Liberty Air to take a look at. These are truly wireless, and have no wire. They are similar to the Apple Soundpods but at a fraction of the price. The packaging on this is a little larger than I expected but still the high quality that the Anker family of companies has been known for. Inside the magnetic flap it shows the headphones in a nice retail like display. Included accessories include the headphones themselves inside the charger case, a large tray of different ear tip sizes, a large manual and a micro usb charging cable to charge the case. 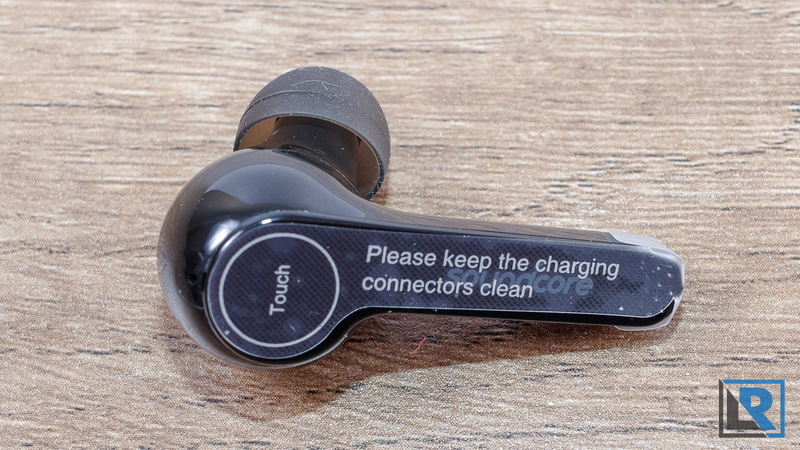 The earbuds are made from a hard glossy black plastic. They are solid and the molding is well done. On the outside they have a tiny LED in the top that serves as a indicator. When in the case it glows. This is also where one of the mic’s is. They are indicated L & R at the bottom of the stock. Fit is really important for sound quality with these. Lucky they come with several different sizes of tip. For me I had to play around to get the right fit. I found them fairly comfortable to wear and didnt’ have major issues with them falling out or anything. The headphones do have control on the right and left flat surfaces. Various taps and presses allow you to do everything from play/pause your audio, skip track, answer a call and even bring up your Google or Siri voice assistant. I will put in a diagram of this rather then explain it all. I found myself sometimes pausing my audio when adjusting the headphones in my ears which was a little unfortunate. I rarely use on headphone controls anyways. Pairing was really simple, I just removed the Air’s from their recharging case, and held them near my phone, with my phone in discovery mode, the phone found the headphones and joined instantly. This was the same on my ipad, as long as I had my phone pairing turned off. After the initial pairing to use the headphones just take them out of the case and they will pair with your device automatically. I have found you need to take both out of the case not just one for this to work. How is the sound quality on these you might be asking. Fit is really important on an in ear headphone like this, so make sure you experiment around to get the best possible seal for your ear. During my testing I listened to a variety of sources of audio. Spoken word from audiobooks and podcasts were very good, honestly this is what I listen to most with headphones it seems these days so I don’t disturb others. For music I listened to the Alice in Wonderland podcast which is a mix of music, with a lot of electronic and EDM. You can tell the sound signature has the bottom end bass rolled off a little early, I assume to keep the headphones from bottoming out early, and to preserve power. These don’t have teeth rattling bass, but are not terrible either. I would put bass response at average or maybe slightly under performing for the price but not bad for something this small and wireless. I was happy with mid’s and highs, they were clear, not muted and a fairly neutral mix with the rest of the sound. I did notice some lag in these Liberty Air’s which was unexpected. I noticed it most when I had the headphones paired with my current generation iPad and listening to Youtube. The audio seemed to be at most maybe a 1/8 second behind the video. I would only notice it when someone was talking directly to the camera and you were looking at the screen. On my Note 8 I didn’t have a problem. Audio was in sync on youtube videos. One of the areas I was a little worried about was with these earbuds being so small I was worried about how the battery life would be. Anker rates the buds at 5 hours of playback time between recharges but in my experience I got over double that. During my 6 hours of use I was listening to mostly podcasts and YouTube content and was within about 2-3ft of my device. My volume levels were under 50% and I think that is partially why I got better then advertised battery life. If you are listening to more active content or fast music at higher volumes you may get closer to that 5 hours of playback. I did like both on my iPad and my Samsung Note 8 I could see a little battery gauge showing the approximate level of charge the Liberty Air’s had left on them. This is the first wireless headphones that have shown this to me. Recharging is simple, you just pop them into their case and the case charges them. The case is good for 20 hours of playback according to anker, so 4 complete charges. Recharging the case is simple with the microUSB connector on the bottom of the case. 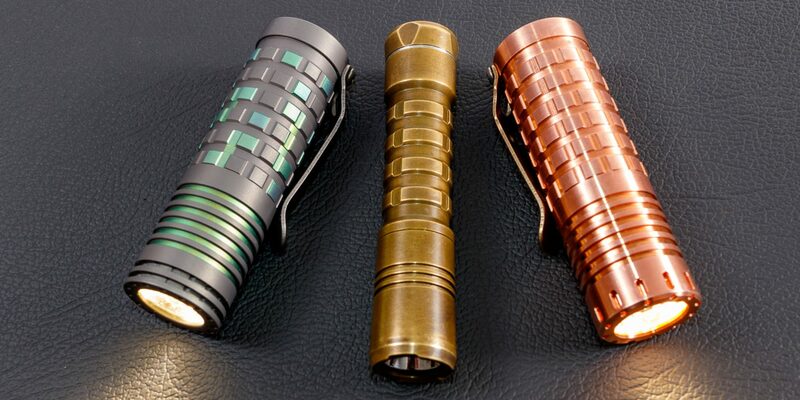 The case has 3 LED’s built in that are there to show battery capacity on the case and these shut off after the first few minutes of charging. I have been a fan of the Anker wireless headphones in the past, that have the wire between earphones but not connected to your device. I find myself grabbing them more and more when I am being active, or not wanting a wire to deal with. The Soundcore Liberty Air takes wireless earbuds to a new level by pretty much eliminating all wires completely. The battery life impressed me on these, the sound quality is decent but not fantastic for music. Fit will be an individual personal thing. For me they felt good in my ears and stayed in place well, but I didn’t go running in them or anything like that extreme. If you were wanting something to try that are like apple earpods but much less expensive and work on both apple and android while having better battery life and good sound quality, I can recommend the Anker Soundcore LIberty Air’s.